HR is at the centre of business affairs in the 21st century. Businesses are doing their best to hire and retain the best talent. It is because without having the best talent onboard, it is difficult to achieve the organisational objectives. 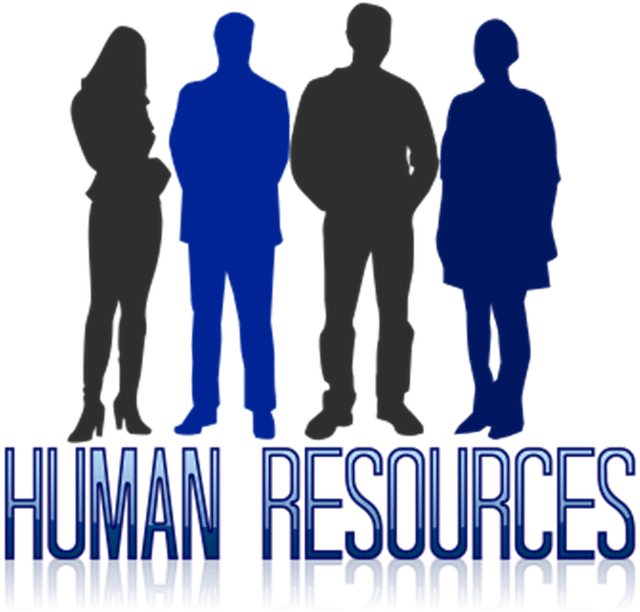 However, from hiring to retention and performance management there are several challenges that the HR managers face while trying to manage their human resources efficiently. 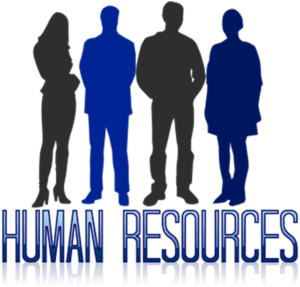 HR issues can be highly challenging and can sometimes lead to escalation of HR costs. It is why leadership and HR managers must focus on making sound policies that keep their employees satisfied. Despite everything the HR managers come across challenges regularly which can affect productivity. The challenging HR situation can be addressed best by planning. Some of the most common challenges that HR managers or businesses face are related to employee morale, attrition, teamwork and workplace conflicts. If the managers can successfully address these issues, it can lead to higher productivity and lower HR costs. How to address the issue of employee morale? Low employee morale can happen due to several reasons and this is a common yet important problem that affects productivity. Even the biggest companies feel challenged by it and apart from financial incentives try every big and small benefits that can boost their employees’ morale. Employee morale is an important problem because low staff morale means low conversion ratio. The employees’ affected by low morale will work more but still produce less. Those whose morale is high will make better decisions and will be able to produce more while trying less. Moreover, investing in employee morale has proved to bring great results. Investing in employee morale is just like investing in other resources because your human capital is worth more than any other resource you employ. How to control the attrition rate? High churn rate or attrition rate is also a common HR problem that makes situation difficult for companies and HR managers. It does not just drive the recruitment costs higher but a lot of time is also wasted dealing with hiring. Companies must not just focus on hiring the best talent but also on their retention. Otherwise, you would remain dealing with inappropriate costs and remain busy throughout the year with hiring. There can be several reasons behind a high churn rate. Poor training and retention strategies and a poor environment can make staff lose interest easily and that can translate into a very high churn rate. Inside the technological companies the churn rate can be especially high. Low employee morale can also result in higher rates of attrition. If the staff cannot love the environment inside your organisation, it would be difficult to retain them for long. This is a difficulty that boggles every HR manager’s head that how to retain his staff for long. Apart from great salaries, retention and training programs, a great culture and environment are equally important to control the attrition rate inside your organisation. While work pressure and job complexity can also be a reason behind the high churn rate as is the case with most technological firms, you can still control the churn rate using appropriate HR policies. You can still focus on employee satisfaction and retain its level high by keeping employees engaged and interested. How to establish an environment of teamwork? This is also an important question that leaders and HR managers face. Without teamwork productivity will remain low and if you desire to create a high energy, highly productive environment then this is an important thing to focus upon. However, differences still arise and when they arise they hinder teamwork and progress. the various functions inside your organisation cannot work in different directions. It will make the execution of strategy difficult and achievement of objectives impossible. So, if you had to channel the entire energy inside your organization in the same direction then you must keep your entire team working together in sync. It is not easy to establish an environment of teamwork and bring unity. The descent among the various line managers and functions becomes obvious whenever a leader or HR manager tries for it. However, if you are trying to bring an organisation wide change or initiate major programs then you need people to work as a team. This is a problem that can be addressed only with support from the leadership. How to resolve conflicts and discrimination? Both conflicts and cases of discrimination happen regularly inside offices. They affect employee morale and become hurdles to performance. The employees being discriminated against lose job satisfaction and experience low morale. Conflicts also happen regularly and many times the reason behind them are personal differences. Differences are bound to happen because people from different backgrounds come to the office and many of them may have difficulty working with each other. While you cannot resolve all these issues at once or completely, you can still address them to a large extent using appropriate policies. The focus must be on creating the right environment and culture so that people can collaborate. An environment of collaboration fosters innovation and lets people have opportunities of learning and growing their skills. To address discrimination, managers must focus on both policy making and encouraging diversity. You can also focus on training your employees to be more flexible. Increasingly businesses are adopting diversity practices to make the composition of their workforce richer. How to Address Training and Development Related Issues? Training and development are also important concerns for HR managers because every company wants its employees to perform at their best. However, it often becomes difficult because while managers keep trying to extract performance from their employees, they never see the issue of performance gap from the HR angle. HR also keeps its mind occupied wth the other top priorities rather than focusing on designing effective training and development programs. Grooming employees is important because it helps them become fast learners and keeps their morale high. You cannot create a high performance environment and culture without having effective training and development programs in place. Nevertheless, when it comes to designing such programs, HR managers either lack the support to make a start in the right direction or there is always a communication gap between HR and line managers. HR managers need to consult the line managers to understand the needs of the jobs and the employees. They also need to keep the industry norms in mind and research what their competitors are using to know what will suit their employees the most. Moreover, HR needs to be more persuasive in its techniques. It will need to persuade both the leadership and the line managers so as to gain their support. Unless it can persuade them to understand the criticality of such programs, neither leadership nor the line managers would consider it compulsory. HR can create the right environment for such programs by creating the excitement required to persuade the leadership. How to design the best salary and benefits programs? Often designing the right salary and benefits programs becomes difficult for the HR managers. Without the right salary and benefits retaining the best talent is difficult. It is an area that requires special attention because salary and benefits are critical to employee motivation. To keep your employees motivated, just a fat salary would not be enough, you also need to design good benefits programs that satisfy them. Since employee satisfaction is critical, HR managers can try different combinations to see which one suits their needs best. However, the hurdles can be limited financial resources or lack of support from the leadership or other crucial functions. HR managers must recommend the top executives what suits their company’s needs best. The best point to start can be checking what the competitors are doing. While plainly imitating others’ practices is never good, still researching others gives an opportunity to understand industry best practices. HR managers can se their own creativity and imagination to design the programs that cater to the needs of the company and employees better. These are some of the main challenges faced by HR in the 21st century. However, the challenges are not limited to just these. There are several other challenges too. Technology is giving rise to new needs and HR function itself needs to remain up to date in this area. Not just this, the HR function also needs to regularly review its practices and policies to update them and keep them on par with their competitors. HR’s role is that of an indispensable function and while HR managers would themselves have to take initiative in some areas, in others the leadership must be ready to provide with all the support needed. Moreover, collaboration between the HR managers and line managers is also crucial for the HR function to win and overcome the biggest challenges.